No other discounts may be applied for any child/children enrolled in State Subsidy. 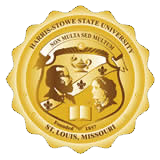 Harris-Stowe State University accepts MO State Subsidy payments for childcare. Payment is based on the State of Missouri (or State of Illinois) rates. Parents are responsible for paying account balances by the 5th of each month. Payments for Late pick-up fees are added to your child's monthly tuition statement; chronic abuse may result in termination.